This step by step guide shows how to generate a CSR code and install an SSL Certificate on VMWare Horizon View desktop virtualization. You will also learn a few interesting facts about VMware’s history, as well as discover the best place to shop for SSL Certificates. If you’ve already ordered your SSL Certificate and don’t need to generate the CSR Code, feel free to jump straight to the installation instructions. 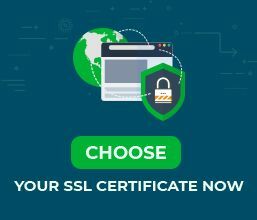 Where to buy the best SSL Certificate for VMware Horizon View? When applying for an SSL Certificate one of the first steps is to generate a CSR code and send it to your CA. CSR stands for Certificate Signing Request, a block of encoded code with your contact data. To generate a CSR code on VMWare Horizon view, we’ll be using tools already installed on your Windows Server, specifically the Microsoft Management Certificates (MMC) snap-in. Please, follow the steps below to create your CSR code via MMC. Go to the Subject tab and provide the required details as shown below. Note: You need to click on Add after submitting the details for each type. State: enter the state where your company is located. For example, Washington. You can open the certreq.req file with any text editor of your choice such as Notepad. During your SSL order, you will have to copy-paste your CSR code, including the BEGIN AND END tags into the corresponding field. After the CA signs your SSL Certificate, it will send all the necessary installation files to your email inbox. You need to download the ZIP folder and extract the SSL files. 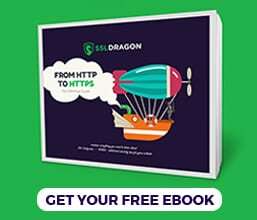 Restart your server to complete the SSL installation. Congratulations, you’ve successfully added a new SSL Certificate to VMware Horizon View. After you install an SSL Certificate on VMWare Horizon View, grab one of these highly rated SSL tools and run a diagnostic scan on your SSL configuration. In just a few seconds, the SSL tool will pinpoint all the existing vulnerabilities and potential errors. VMware Horizon View is a commercial desktop virtualization product developed by VMware, Inc. Initially, it was sold under the name VMware VDM, then changed to VMware View, and, finally Horizon View with the release of version 6 in April 2014.